Inside Scoop @ 410 Medical, Inc.
How does 410 Medical, Inc. celebrate success? Ringing the Bell! New wins deserve a little celebrating and we have a giant, farmhouse-style dinner bell in the office for just those occasions. What are some qualities that would make a person successful and help evolve 410 Medical, Inc.'s culture? Employees at 410 Medical are passionate information-seekers. Our goal is to improve the lives of patients and their health care providers. We are a hard-driving bunch who love to make a difference in the world. I'm looking forward to more patient stories about how our work is impacting lives. 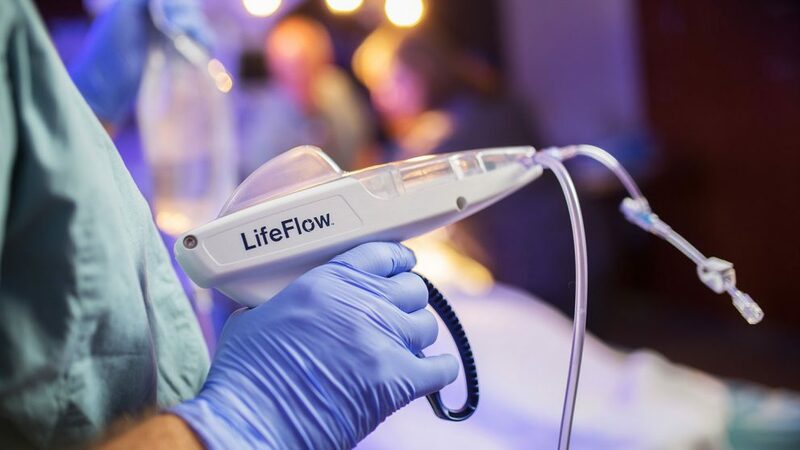 It is rewarding to see our LifeFlow device in action at hospitals across the country. What does professional development look like in your role at 410 Medical, Inc.? The size of the company gives me exposure to projects I wouldn't see somewhere else. I'm getting amazing first-hand experiences because it's a small company. Working in Downtown Durham makes for an easy commute! It's a lively area of town and constantly growing. The American Underground has a great feel with so many startup companies. Our R&D team uses CAD and SolidWorks to design life-saving medical devices!